by James Oglethorpe Patterson, Sr. I SEE YOU IN THE FUTURE AND BY THE GRACE OF GOD, YOU LOOK MUCH BETTER THAN YOU DO RIGHT NOW! For the similarly named Arkansas politician, see Charles J. Blake. Charles Edward Blake Sr. (born August 5, 1940 in Little Rock, Arkansas) is the current Presiding Bishop of the Church of God in Christ, Inc., a 6 million-member Pentecostal-Holiness denomination. On March 21, 2007, he became the Presiding Bishop of the Church of God in Christ, Inc., as a result of Presiding Bishop Gilbert E. Patterson's death. In a November 2007 special election, he was elected to complete the unexpired term of his predecessor as Presiding Bishop. In November 2008, Bishop Blake was re-elected to serve a four-year term as Presiding Bishop. In November 2012, Bishop Blake was re-elected again to serve a four-year term as the Presiding Bishop. He was reelected to a third term as Presiding Bishop on November 15, 2016. Blake is the fifth Presiding Bishop (and seventh leader) of the historically African-American denomination. From 1985 until 2009, he was the Jurisdictional Prelate of the First Ecclesiastical Jurisdiction of Southern California, overseeing more than 250 churches that compose the jurisdiction. He was succeeded by Bishop Joe L. Ealy. Bishop Blake is married to Mae Lawrence Blake, a native of Michigan, and they have three children together, Charles Blake II (Jr.), Lawrence Blake, and Kimberly Blake, and they have eight grandchildren. Bishop Blake is the pastor of the West Angeles Church of God in Christ (COGIC), one of the largest churches in the Western United States, with a membership of over 24,000, starting with only 50 members in 1969 when he became pastor. He has been a member of the General Board of COGIC since 1988. Bishop Blake is an ardent advocate of education and academic excellence, who holds multiple academic and honorary degrees, from various educational institutions. Most recently, Biola University, conferred an honorary doctorate upon him on June 12, 2010. In response to the HIV/AIDS crisis in Africa, Blake founded and is president of the Pan African Children's Fund (PACF). Save Africa's Children, a program of PACF, currently provides support to over 220 orphanages throughout sub-Saharan Africa. He was the founding Chair of the Board of Directors for, and has served as a member of the Executive Committee of the Board of Directors, and as a Board Member of the Board of Directors for the Interdenominational Theological Seminary. Blake has served as Chair of the Executive Committee, member of the Board of Directors of Oral Roberts University, and as a member of the Board of Directors of International Charismatic Bible Ministries. Blake has also formerly served as an Advisory Committee Member of the Pentecostal World Conference, and as the founder and Co-chair of the Los Angeles Ecumenical Congress (LAEC), an interdenominational coalition of religious leaders and pastors. He has also been awarded the Salvation Army's William Booth Award, the Greenlining Institute's Big Heart Award, and was the designated recipient of the L.A. Urban League's Whitney M. Young Award for the year 2000. In 2009 he was appointed as a member of Barack Obama's Inaugural Advisory Council of the Office of Faith-based and Neighborhood Partnerships where he served for one year on the council. In 2016, Bishop Blake was appointed as the Co-Chairperson to the leadership council of the Pentecostal/Charismatic Churches of North America. On November 15, 2016, Bishop Blake was reelected as the Presiding Bishop of the Church of God in Christ during the 2016 COGIC Election held by the COGIC General Assembly to a third four-year term. In 2014, at the St. Louis, MO COGIC International Holy Convocation, former COGIC Minister and Elder Earl Carter preached a controversial sermon on Saturday night that contained statements against the LGBTQ community that were taken as offensive and derogatory. Bishop Blake subsequently apologized for his remarks and rebuked him for his controversial statements by saying, "The Church of God in Christ does not compromise its stance against homosexuality as the Word of God condemns it as sin, but "this preacher's" (referring to Earl Carter) comments were unacceptably offensive and uncalled for, and will not be tolerated by the Church of God in Christ or its leadership." Earl Carter then proceeded to make allegations against Blake for impropriety, misconduct, and abuse of his power as Presiding Bishop. Countless church leaders across the COGIC and across several other denominations, and Bishop Blake's own family came to his defense against Carter's allegations boldly and without reservation. Elder Carter requested a Church trial before the General Assembly and Judicial Board, according to the Constitution of the COGIC, but was denied of it in 2016. He currently delivers YouTube and Facebook broadcasts of reports of alleged misconduct and impropriety within current leadership of COGIC and across other Christian (mainly African-American) denominations as well. Earl Carter has, since the incident, also left the Church of God in Christ denomination. 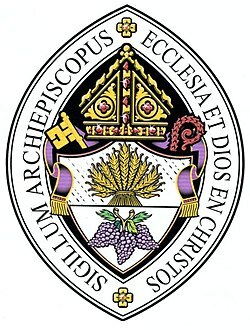 Bishop Blake won a defamation lawsuit in 2016 against Earl Carter, who was ordered to remove all defamatory videos and to cease and desist from further conduct disparaging Bishop Blake. Carter was found in contempt of court for failing to obey the court order and was jailed until he removed all videos and agreed to comply. Elder Carter, upon being released, assumed the title and office of Bishop/Chief CEO of his newly organized nondenominational church fellowship, the 7000 Club. ^ "Biography of Bishop Charles E. Blake". 1 August 2007. Retrieved 15 April 2017. ^ Staff, AFRO (21 November 2012). "COGIC Re-Elects Presiding Bishop Charles E. Blake Sr. as Leader - Afro". Retrieved 15 April 2017. ^ "Our Presiding Bishop". West Angeles Church. 2013-12-16. Retrieved 2017-08-07. ^ "404 - Page Not Found". Retrieved 15 April 2017. ^ "Whitehouse.gov - Inaugural Advisory Council: Office of Faith-based and Neighborhood Partnerships". Archived from the original on 10 January 2017. Retrieved 15 April 2017. ^ "About PCCCNA - Leadership". Retrieved 15 April 2017. ^ "Bishop Blake Condemns 'Bad Preacher'; Apologizes to 'I Don't Like Mens No More' Guy". ^ "Church of God in Christ | Defamation Lawsuit Filed". ^ "Church of God in Christ | Defending Our Leader". ^ "Church Of God In Christ | A Letter to the Members of the Church of God in Christ, Inc". www.cogic.org. Retrieved 2017-02-20. ^ "Church Of God In Christ | Minister Sidney Lassiter III vindicates Bishop Blake". www.cogic.org. Retrieved 2017-02-20. ^ "Earl Carter". YouTube. Retrieved 2017-06-01. ^ "Bishop Charles E. Blake Wins Dismissal Against Minister Earl Carter". EURweb. 2016-02-17. Retrieved 2017-06-01. ^ "the-7000-club". the-7000-club. Retrieved 2017-06-01. This page was last edited on 19 June 2018, at 08:25 (UTC).